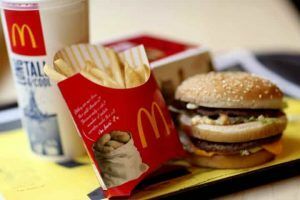 Yes, It’s a bad news for all the MC Donald Lovers. 43 out of 55 McDonalds in Delhi are shutting down and Fans aren’t loving it at all. Imagine you are planning to go out with your friends to Mcdonald’s and you find the outlet shut down. Aaaaw!! I can imagine that how it feels, and then you decide to go to some other outlet and you find that too shut down. It feel nothing less than a storm at occurs without any prediction. From past years many of ours lives have succumbed to the services of McDonald’s , whether its a party, normal hangout are a great occassion. At one point or the another McDonald’s is the part of our daily life. Why McDonald’s Outlets are shutting down? The ‘Eating House Licenses’ of a number of McDonald’s outlets in Delhi have expired. The Board of Connaught Plaza Restaurants Private Limited or CPRL is working to obtain the required licenses. CPRL is temporarily suspending the operations of the affected restaurants. The CPRL is the local joint venture between Vikram Bakshi and McDonald’s. The shutting down of the Outlets results in a loss of 1,700 jobs. “It’s unfortunate, but operation of 43 restaurants operated by CPRL has been temporarily suspended,” The Economic Times quoted Vikram Bakshi, former managing director of CPRL, as saying. The shutdown decision was taken during a board meeting via Skype on Wednesday morning, it said. Connaught Plaza Restaurants Pvt Ltd (CPRL) is a 50:50 joint venture of its founder Vikram Bakshi and MIPL, that runs the fastfood chain in north and east India. So, All the McDonald’s lovers now have to wait for everything to go right. Till then you can visit the above mentioned Outlets to delight your taste buds.